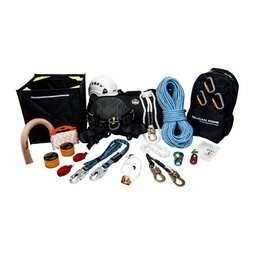 All Climbing Kits qualify for FREE SHIPPING! 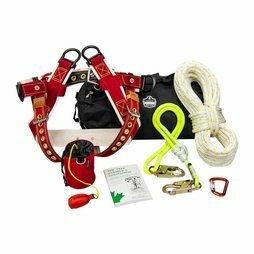 NEW ROPE CLIMBING KITS HAVE BEEN ADDED! Whether you’ve been climbing for a long time, or you're just getting started, one of the kits below is likely a good fit for you. Each kit offers something a little different, and all kits have been recently upgraded so now you’re getting even more for your money. 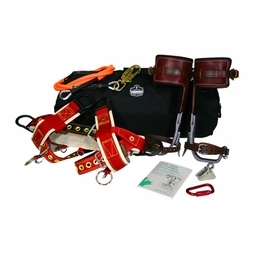 Our Basic Kit gives you a nice set of quality gear for a low price. This isn’t bargain basement product either, but good, quality gear that will last you a long time. In fact, this kit has just been upgraded with better spur pads. If you want a middle-of-the-road package, then our Advanced Kit might be the way to go. It gives you Super Pads, which provided the greatest comfort of all standard leather climbing pads. 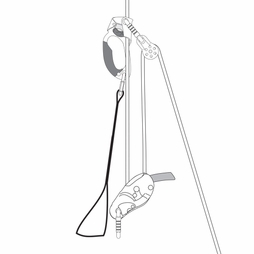 The saddle is upgraded to the Weaver 1040, which gives you better climbing support and a floating D-Ring for advanced climbing techniques. And finally, for those that want it all, check out our Supreme Kit. It comes with the most advanced saddle Weaver has to offer, The Cougar. It also features the newest climbing pads from Climb Right, their Ultra Lite pads. This set gives you tremendous comfort and lightweight gear, two key attributes when you’re talking about your climbing setup. These kits make a great gift too! 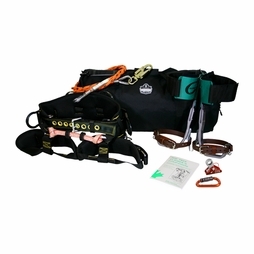 From the super simple to fully outfitted, we offer rope climbing kits for climbers of varying skill levels. For example, we even have simple "RAD" kits comprised of Petzl gear. 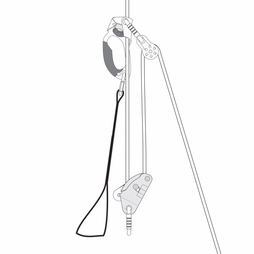 Kits like these can be used for tree climbing, climbing a sailboat mast or pole, etc. We offer a Basic and Enhanced Kit, with the primary difference between the two being the descent device. 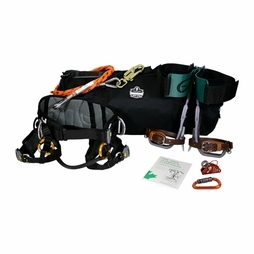 The Basic Kit comes with a GriGri 2 while the Enhanced Kit comes with the Petzl Rig. 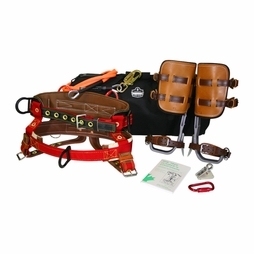 We also offer more traditional arborist kits geared around rope climbing. Our Economy Kit is a great starting point, giving you gear you undoubtedly will need and leaving room for you to add whatever you want. But if you're into one-stop shopping, the Deluxe Kit might be for you. It comes with a great Petzl saddle, 16-strand climbing line, a throw line kit, lanyards, carabiners and more!